Digitization, Industry 4.0, Internet of Things, Big Data, disruptive technologies – the business world is changing rapidly. Digital change does not stop at the doorstep of your dental lab. It is likely to affect the way you do your technical work, organize your lab and communicate with your colleagues in dental practices – and that’s good. Digitization not only presents challenges, but also offers enormous opportunities – for examples opportunities for effective dental lab marketing. While in the past telephone book entries, business clubs and well-established networks were enough to attract attention and new customers, today an almost unmanageable variety of digital alternatives are available for businesses to promote themselves: website, Facebook, Twitter, apps, Google ads, newsletter, to mention but a few. Properly used, these tools can also help you, as a dental technician, to address and gain new dentists and to build long-lasting partnerships effectively. Clearly, the good news is that dental lab marketing will be easier in the age of digitization than it was before. Create and determine a clear picture of the customer you ideally want to address. What problems, challenges and fears concern your customer? What gives your customer a feeling of success, a sense of satisfaction? In what environment does your customer live and work? Which (digital) media/communication channels do they use for obtaining information? In what form and manner do they prefer to gain information about your services? What are the most important questions they have with regard to your services and offering? My tip: Concisely summarize your answers on a DIN A4 sheet of paper. Give your ‘ideal dentist’ a name and a picture. This helps you as a visual and mental support so that you will find it easier to remember and picture your dentist ‘persona’ when implementing your lab marketing strategies. What are you particularly good at? Why do dentists choose to come to you? What added values or benefits can you offer your customers that they cannot find anywhere else? How can you sum up your story in a few snappy and succinct phrases? Is your ‘story’ appreciated by the market, or by the customers? Is there a demand for it? What promises are you making to your customers? What ‘evidence’, references and advocates do you have to underpin your ‘story’? My tip: Summarize your story in a few clear-cut, easy-to-understand and succinct sentences; 5 to 7 sentences should be enough for this. Then, read through them from the perspective of your customer persona described in section 1. Does your story sound convincing? It should be convincing by all means because it will form the basis of your future content in your dental lab marketing and advertising measures. strengthen relations with existing customers. Think of these four points as a funnel: Wide at the top and then narrowing. 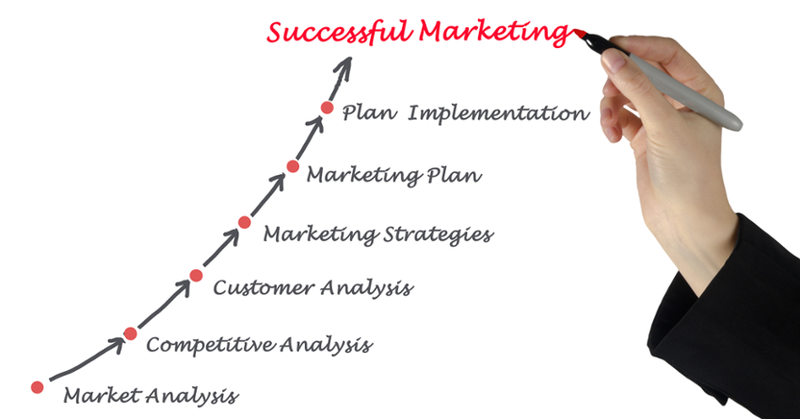 Your lab marketing strategy should comprise measures at all four levels of the funnel. Level 1 of the marketing funnel – more presence: You publish a Facebook post with specific informative benefits for your imaginary customer, or customer persona. This post contains a link to lead interested readers to your website or blog. Level 2 of the marketing funnel – more contacts: On your website or blog, you offer your visitors further useful content and expert knowledge on topics that concern them. In addition, you offer them the opportunity to get in touch with you (lab newsletter, invitation to an event, form to request an offer, etc.). Level 3 of the marketing funnel – gaining new customers: You stay in touch with prospective customers (e-mail) and encourage them to collaborate with your lab. How can you achieve this? It’s easily done: Highlight the points that are a credit to your lab. For instance, you could say something along the lines of: “Did you know that more than 50 dentists from your region trust us?“ Or point out awards and certifications that you have earned and clinical cases that you have completed and that make you and your dental lab stand out. Or provide additional certainty by giving a clear description of your workflow and outlining the procedure for collaborating with you. Level 4 of the marketing funnel – Retaining existing customers: Automated activities (another great advantage of digital marketing! ), such as e-mails, newsletters, automated invoicing and cost estimate processes, online status updates, etc. help you to provide your customers with useful information and tools on an ongoing basis and strengthen your relations with them. You are well placed to attract new customers efficiently and effectively if you know your customer persona well, if you have formulated a consistent story for your lab and if you systematically select and deploy your marketing activities along the marketing ‘funnel’ template. Digital marketing activities in particular offer great potential as they allow accurate metrics and offer the possibility of automation. Even small dental labs can implement professional and effective marketing strategies at reasonable efforts.